Limos4 Limousine Company has been delivering premium transportation service in major European cities and countries for years. To make your limousine experience go as smoothly as possible, we have listed the most common questions we are asked about booking and travelling. However, if there is a specific question which is not listed here, please do not hesitate to contact us by phone (+45 89 88 14 24, +44 2030 516 803 or +49 89 38 03 78 26) or email us: [email protected]. Normally, our chauffeurs wait at the arrival terminal with a name board. 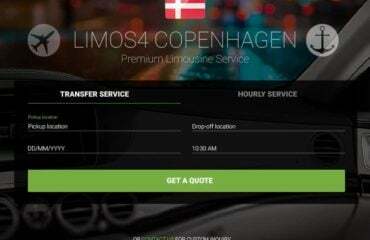 The chauffeur´s name and mobile phone number are sent by email at least a day prior to the service. However, if you want to be met elsewhere at the airport, please call the chauffeur directly or call our operators at +45 89 88 14 24, +44 2030 516 803 or +49 89 38 03 78 26 and present your confirmation number to our operator. Your chauffeur will be directed to the confirmed location. The Limos4´s chauffeur greets passengers inside the airport, waiting just outside the arrival terminal, with a sign displaying the passenger’s name. For cruise ports, bus terminals and other public transportation ports, your chauffeur will wait in the nearest designated passenger pickup area. The chauffeur holding a name board will wait for you outside their vehicle. Limos4 charges no additional fee for meet-and-greet service. Please contact our operators at +45 89 88 14 24, +44 2030 516 803 or +49 89 38 03 78 26 immediately. All major credit cards are accepted for payment. Bank invoice and cash as payment methods are also possible. To find out more, please contact us by phone at +45 89 88 14 24, +44 2030 516 803 or +49 89 38 03 78 26 or email us: [email protected]. Yes. Please contact our accounting department at +45 89 88 14 24, +44 2030 516 803 or +49 89 38 03 78 26 for details and to request an application. Please check our passenger and luggage limits for each vehicle class presented on our online fleet presentation. If the passenger/luggage count exceeds the limits, you will need to upgrade the vehicle type or reserve an additional vehicle. This will result in extra charges, so please select the vehicle accordingly. To ensure a safe and comfortable ride, please inform us if you are traveling with any irregular luggage sizes or packages at the time the reservations are requested. Generally, vehicle luggage space is designed to accommodate 1 piece of medium-sized luggage per customer. Please note our stretch limousines accommodate 8 small carry-on (cabin) bags only. Monday – Friday: 08.00 – 22.00 CET Saturday: 08.00 – 21.00 CET Sunday: 08.00 – 21.00 CET If you are arriving or departing during our off-hours, we will track your flight and dispatch your vehicle and the chauffeur accordingly. Limos4 provides infant, toddler and booster seats. In certain cities/countries this service is subject to a charge. To find out more, please contact us by phone at +45 89 88 14 24, +44 2030 516 803 or +49 89 38 03 78 26 or email us: [email protected]. Our fleet includes sedans, stretch limousines, minivans, minibuses of all sizes and motor coaches. Please refer to our fleet page (www.limos4.com/fleet) for more information regarding our diverse fleet of vehicles. At Limos4, we respect your right to privacy and handle your personal information with care. We will use your information only to confirm your reservation and/or for questions regarding your service experience. We will never sell or share your information with anyone. Your rate quote is based on the information provided at the time your reservation was made. Additional charges can result from changes to your service during your trip, such as extra stops, waiting time, or extending the duration of your service. If you do not feel that you had any additional services, please call our accounting department at +45 89 88 14 24, +44 2030 516 803 or +49 89 38 03 78 26 to review your charges.